The first year of college is pivotal to a student’s college experience. 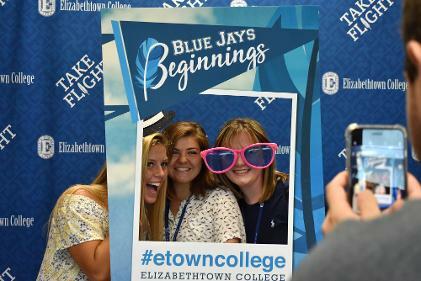 Our goal at E-town is to welcome, support and challenge every student who joins our community. Our combination of First Year Seminars, advisors and peer mentors help our students become familiar with our curriculum and faculty and form relationships with fellow students early in their college careers, which in many cases will last a lifetime. How faculty and students help first-years transition to college life. Orientation is an integral part of our students’ development at E-town. We have a variety of programming that helps our students feel at home from the very first day. Orientation is a multi-step process. We start with a one-day summer orientation where students can test the waters and get to know campus. This is followed by our three-day fall orientation, which takes place in August beginning with student move in day. This helps students fully integrate into life at E-town. You will learn about navigating campus, handling interpersonal relationships and campus living. The traditional First Year Walk takes place at the end of orientation. The entire first-year class walks together into town to explore the shops, get coffee and get to know our friendly community. Along the way, the class is guided and encouraged by their peer mentors to meet new people, branch out and have fun. 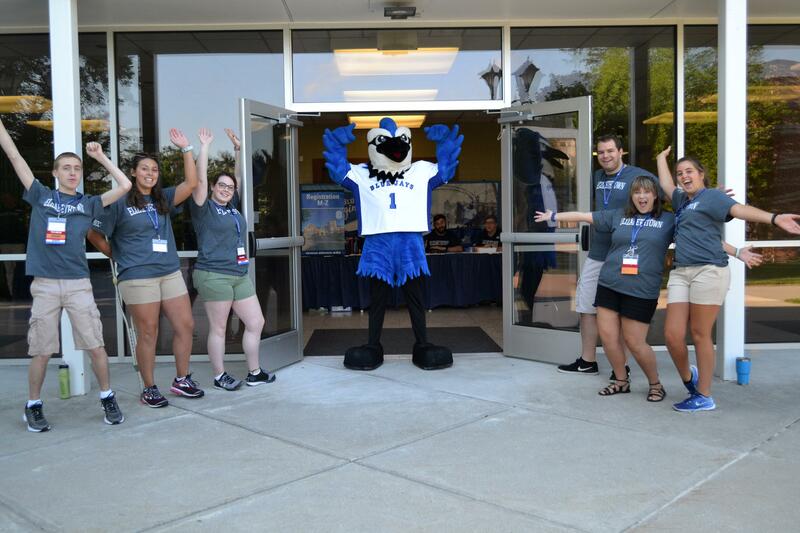 Orientation continues throughout the fall semester through the coordinated efforts of Student Life and Academics. Our peer mentors are upperclassmen who assist first-year students throughout the first semester as they adjust to college life. Students meet their peer mentors at summer orientation and again on move-in day. Peer mentors also help you navigate the residence halls and find your classrooms. Our students choose their FYS class based on areas of academic interest, and FYS classes operate much like any other course on campus. 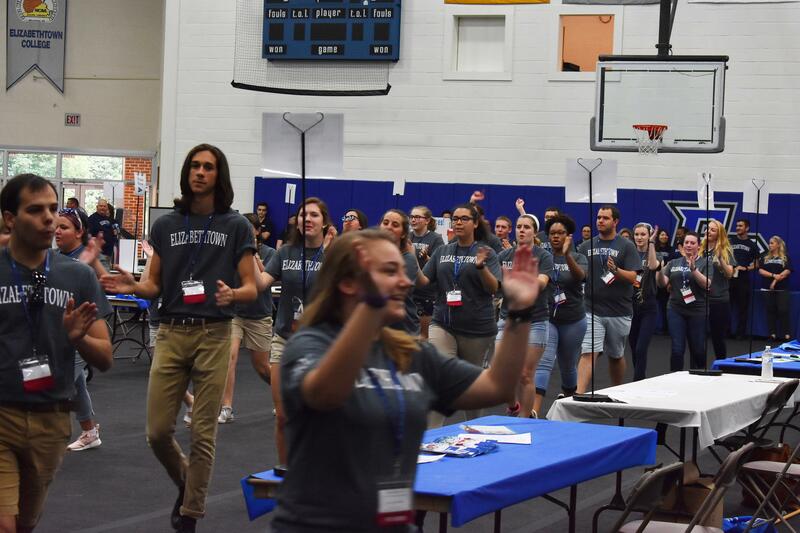 Each FYS serves as an orientation group with designated peer mentors. Each FYS also incorporates out-of-class activities, trips and projects, which facilitate social connections. First Year Seminar instructors act as a student’s first-year advisor until the spring semester when majors are declared. 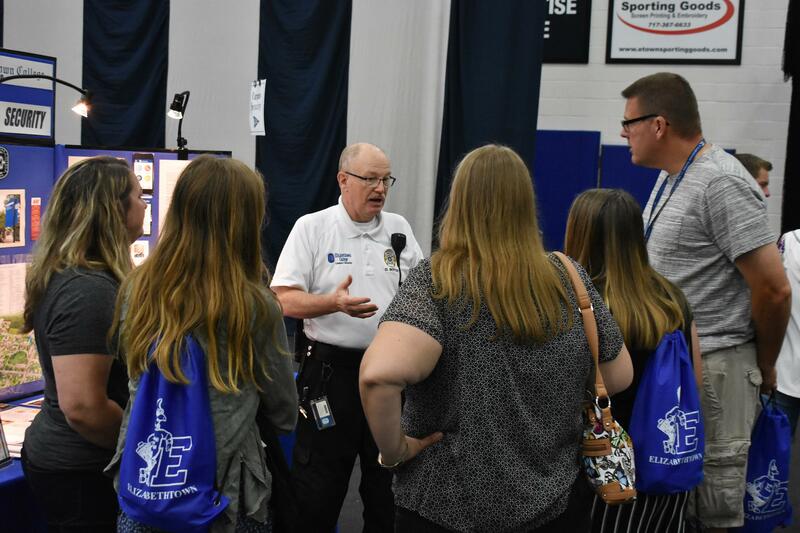 This instructor is specifically trained to advise first-year students about getting involved on campus, exploring core curriculum options and working with a student to make sure that their choice of major or minor fits their interests and talents. Campus living is one of the most exciting parts about college. Our residence assistants (RAs) plan and implement programs year-round in our residence halls to encourage bonding and interaction with your neighbors. The RAs also ensure that residents uphold community living standards. Our students have the option to participate in Living-Learning Communities from the very first year. 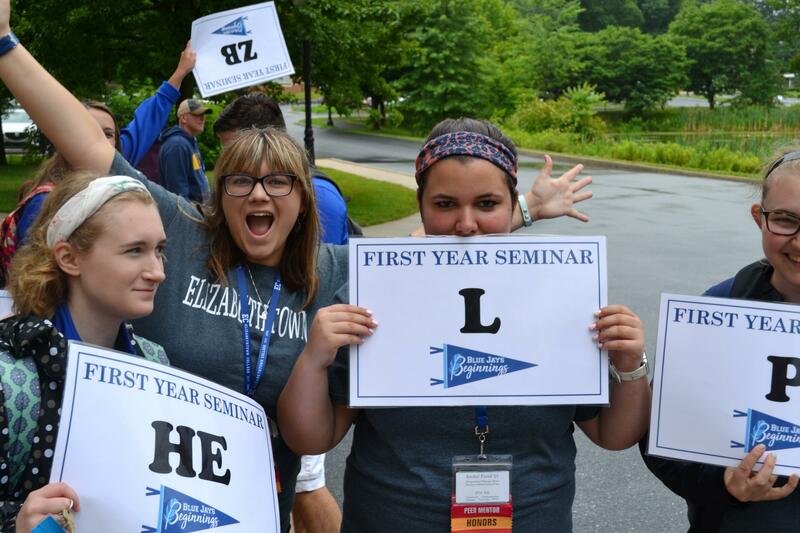 Living-Learning Communities, or LLCs, combine residential life with an area of interest. This allows students to bond with their neighbors over more than just proximity but a mutual interest, as well. Many of our LLCs are exclusively for first-year students such as the Honors, Simple Living and Business LLCs. 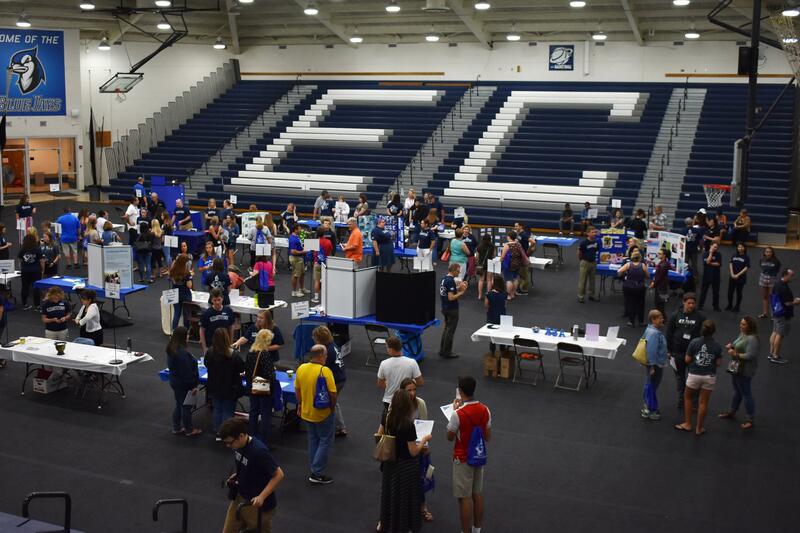 We offer a variety of clubs on campus that revolve around academics and personal interests. 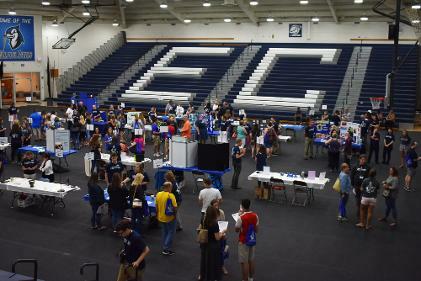 To connect students with clubs and opportunities that might interest them, we hold a fall activities fair where clubs, organizations and intramural teams gather and encourage interested first-year students to get involved.